The NICE Legacy of ELP & PLP – Prog Classics from the sixties & seventies! Welcome back to a new era of groundbreaking progressive musical compositions. Every track has new creative styles of music which you have never heard before. Pär Lindh Project is a band that focus on keyboard based music with strong melodic writing and which blends the the power of rock music with the compositional skills of the great heritage of European classical music spiced also with snippets of jazz and folk music. 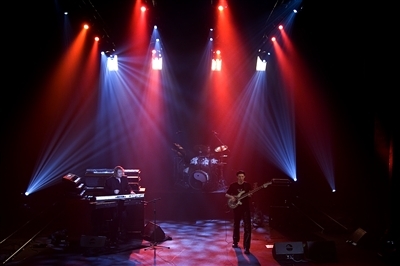 In May 2008 the first ever PLP Concert DVD ¨Pär Lindh Project-Live in Poland¨ saw the light of day showing an instrumental version of the band. The release of this first class production filmed by seven cameras and with superb lightning behind the band was accompanied by many fine reviews of the bands hot performance that November evening in Poland. 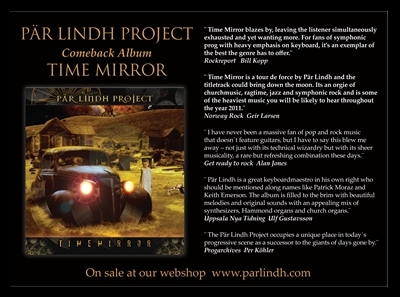 The comeback album Time Mirror with this new lineup of the band was released 1st december 2010. This became the kickoff the band needed to return to the stages once again. In 2010 vocalist and drummer Al Lewis from the USA was after an audition invited to join the ranks of PLP. The band was thrilled with the idea of becoming a trio which once again will include great vocals. 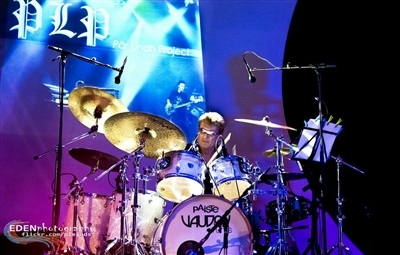 After having performed as a trio PLP decided to invite finish drummer David Liljekvist to join the band. 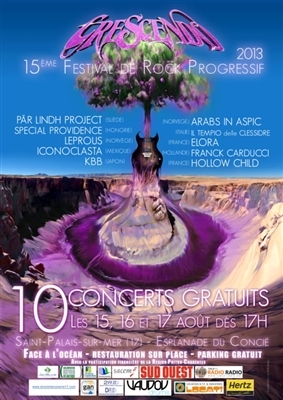 PLP has among other shows performed at festivals in france the past two years. 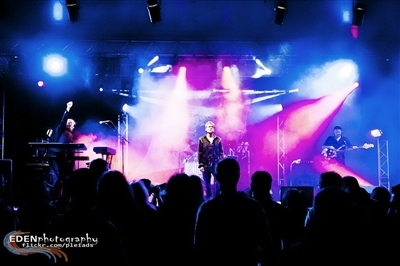 They headlined the Crescendo Festival outside Bourdeaux august 2013. At the dawn of the new wave of Swedish progressive rock The Swedish Art Rock Society was founded in 1991 with Pär Lindh as chairman. This movement helped to launch the Swedish progressive rock wonder of the nineties with bands like Änglagård, Galleon, Anekdoten, The Flower Kings, and of course The Pär Lindh Project (PLP). At the first Festival arranged by the society in autumn 1991 Pär gave a speach as well as a performance. All the three major progressive bands at the time from Sweden showed up Anekdoten, Änglagård and Landberk. Some of them came to perform others just to attend the event. This Art-rock festival became somewhat of a startingpoint for a new wave of exiting music emerging from this scandinavian country. 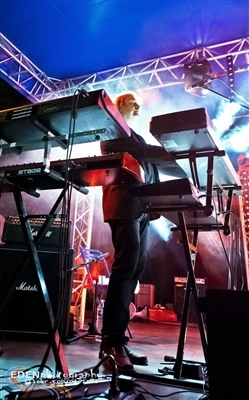 Pär was determined to once again take up the banner of progressive rock.” I listened back to some old recordings with ELP, YES, Genesis, King Crimson and other progressive bands from that era and just realised how very good this music was.”. So Pär dusted off his old B3 Hammond organ which had been standing unused in the cellar of his parents house and started to look for a band. He found the group Manticore in a nearby town and played with them for a couple of years before moving on to build his own studio-complex for the recording of his musical compositions. 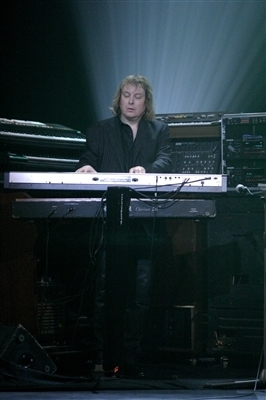 The first record to emerge from the Crimsonic Label is Pär Lindh´s innovative album ”Gothic Impressions” which has influences from renaissence music, early baroque, Bach, postromanticism, aventgarde, impressionism and from the symphonic rock bands of the early seventies. The result is a unique new kind of music. On this CD you will find some of Swedens finest artrock musicians which ensures a very high performing quality. 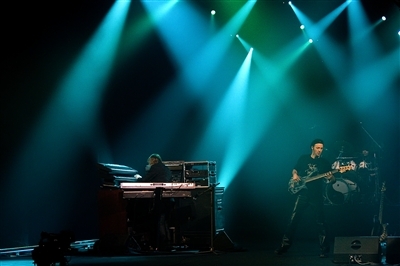 The Band PLP was formed in the summer 1995 as a result of the cooperation between Jocke Ramsell, Magdalena Hagberg and Pär Lindh during the 1994 sessions to record Gothic Impressions. The band then kept on rehearsing and recording that year 1995. At the end of 1995 the mini CD ”Rondo” was released which was PLP´s first effort as a five member group including Nisse Bielfeld on drums and Marcus Jäderholm on bass. The song Rondo was recorded at Crimsonic Label Studios and was captured live in PLP´s second rehersal as a band! In the meantime Magdalena had been doing a wonderful job in recording the vocals for the concept album BILBO and In 1996 this CD was released inspired by J.R.R. Tolkiens first book ”The Hobbit”. PLP´s first ever live performance was at the Gothenburg Art-Rock Festival on the 4:th of May 1996. Conserts in Sweden and Norway then followed. 1997 PLP recieved awards from Argentina for their CDs and Bilbo was voted as record of the year. Because of this PLP were invited to come and play concerts in Argentina and several TV apperances plus other media hype. After this offers to play concerts all over the world started coming in. 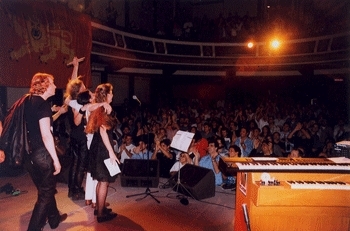 PLP headlined the 1997 Rio Art Rock Festival and played other dates in Brazil and Argentina again. Late 1997 saw the release of Mundus Incompertus, featuring Lindhs superb keysmanship, Hagbergs stunning vocals, and impressive contributions from the other band members. The concert opener ”Baroque Impression No. 1” and the epic 27-minute title suite are highlights from this CD. 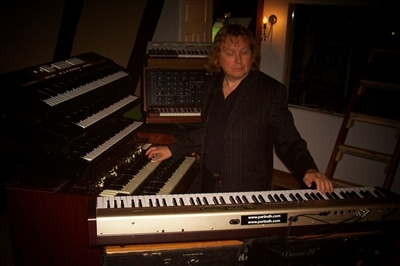 Pär Lindh Projects first live concerts in the USA took place in September 1998, most notably a headline performance at ProgDay 98 in Chapel Hill, North Carolina. 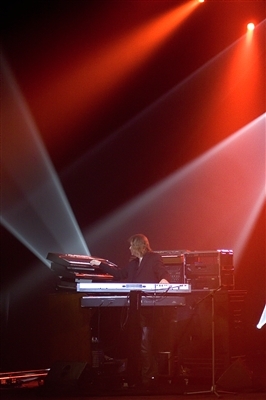 PLP again toured the U.S. the following spring, including performances at Progfest 99 in San Francisco, the House of Blues in Chicago, and a cathedral concert in St. Louis. 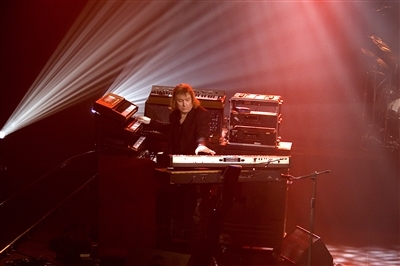 Largely recorded at the ProgDay 98 festival, the two-CD set Live in America was released in summer 1999. 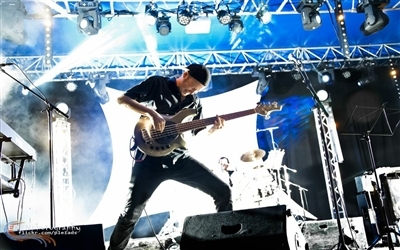 This pristinely recorded set captures the instrumental virtuosity and the tremendous energy of a Pär Lindh Project concert, and is an excellent introduction to the bands music. PLP was voted #1 band by the audience at this festival. After the extended tour in the USA and Europe 1999 . 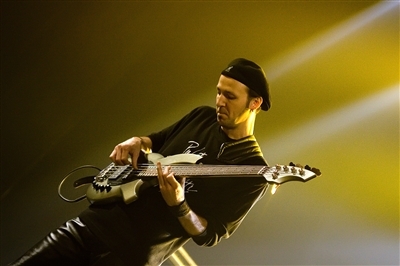 At the NEARfest festival USA in June of 2000 William Kopecky was introduced as the new bassplayer for PLP. 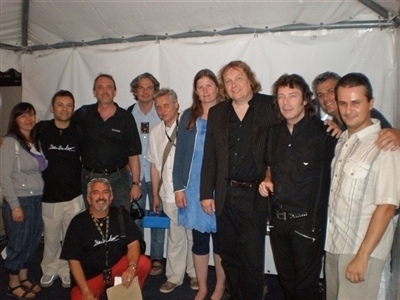 PLP was voted by audience as a top band of this festival. Tours then followed in Europe, USA and Mexico the following years. After the summer 2000 tour PLP continued as the trio Magdalena, Nisse and Pär to record PLP´s third album Veni Vidi Vici with Flower Kings bass player Jonas Reingold and guitarist John Hermansen. Veni Vidi Vici also included a string orchestra as well as a choir and several other guest musicians. 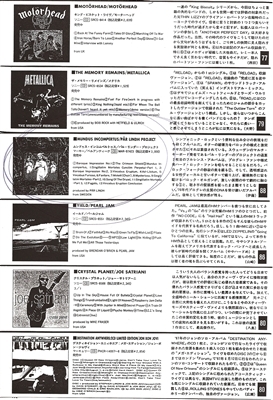 Veni Vidi Vici was voted as ¨Best Progressive Rock Album of the Year¨ by Norways No.1 rock mag Monster Magazine 2001. 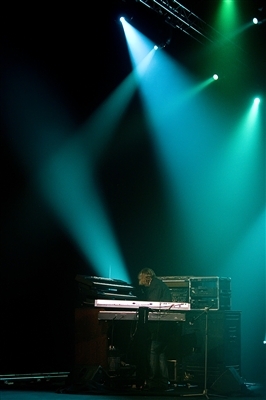 In the fall 2001 PLP played concerts in Europe and Iceland November 2001. These gigs were very successful and a live album was released from the Iceland concert called ¨Live in Iceland¨ spring 2002. 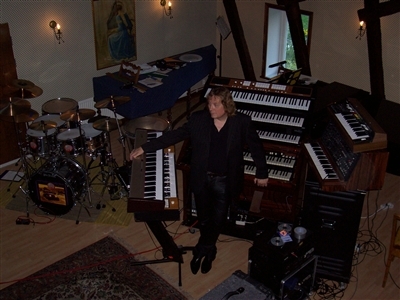 Pär Lindh toured the US and Mexico again in spring 2002 as a guest artist with progressive trio Kopecky playing a mixture of 50/50 Kopecky and Lindh material in new arrangements. In August 2002 terrible news hit the band of Magdalena Hagbergs severe illness in cancer. The band was in a state of shock. 2003 however saw an (shortlived) instrumental trio version of PLP going back to Mexico for a couple of wellrecieved gigs including coheadlining with legendary band FOCUS at the BAJA International Festival ! Due to the serious illness of former PLP vocalist Magdalena Hagberg the band took timeout from late 2003 onwards to wait for her recovery. During summer 2004 plans for a new start for PLP with recordings and future concert tours became a reality as Magdalena was starting to recover. February that year also saw the release of Björn Johanssons and Pär Lindhs second duo album the wellrecieved ¨Dreamsongs from Middle Earth¨. November 2004 saw the re-release of Gothic Impressions with new vocals from Los Angeles based singer DIVAD on two tracks as well as added keyboards, improved drums on one song and a lot of new extraordinary choirparts throughout the album. In September 2005 Magdalena returned to sing for PLP one concert in Sweden which sadly was to be her last performance with the band. On bass & guitar played her husband Fredrik Berg. of the passing of Magdalena Berg. Her maiden name was Hagberg. The big surprise of the evening however came from the new bassplayer Bill Kopecky who was just staggering…lot´s of feeling, absolutely one with his instrument. 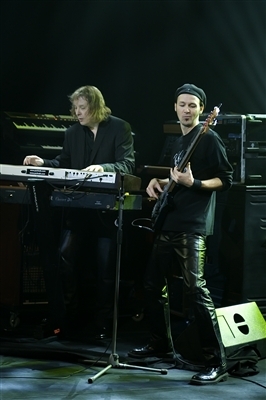 Pär Lindh with Steve Hackett and his road crew. Marco Lo Muscio is to the right and Swedish singer/songwriter Anja is in the center.